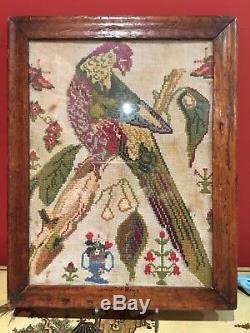 Owned this for many years. 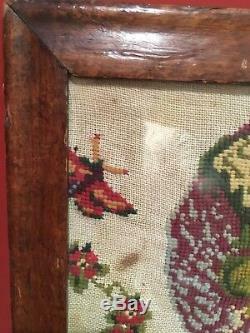 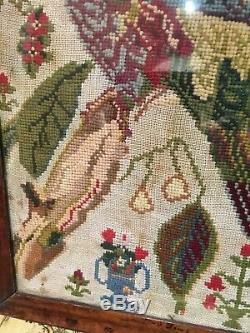 Charming wool work picture in early Walnut veneer frame. 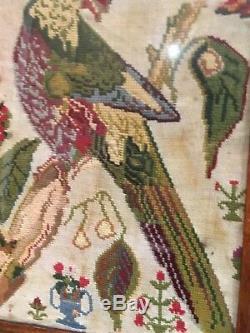 47 cm x 36 cm. 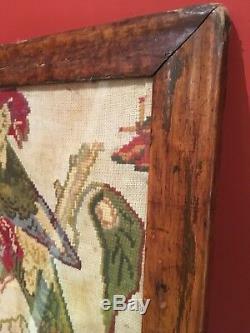 Not exactly sure of age of wool work. 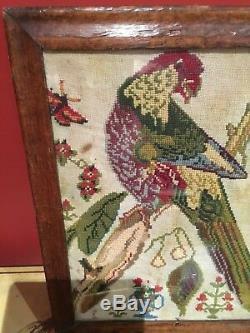 Frame 18thc / early 19thc. 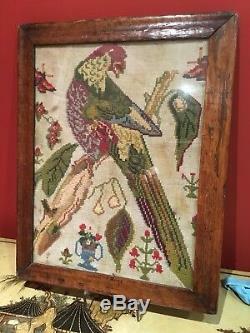 The item "Antique Wool Work, embroidery Picture Of A Parrot In Early Walnut Veneered Frame" is in sale since Monday, August 27, 2018. 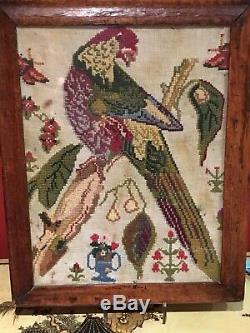 This item is in the category "Antiques\Fabric/Textiles\Tapestries". 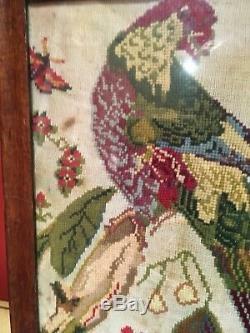 The seller is "dunclure" and is located in Sunbury-on-Thames. 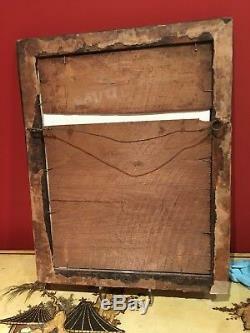 This item can be shipped to United Kingdom, Antigua and barbuda, Austria, Belgium, Bulgaria, Croatia, Cyprus, Czech republic, Denmark, Estonia, Finland, France, Germany, Greece, Hungary, Ireland, Italy, Latvia, Lithuania, Luxembourg, Malta, Netherlands, Poland, Portugal, Romania, Slovakia, Slovenia, Spain, Sweden, Australia, United States, Canada, Brazil, Japan, New Zealand, Israel, Hong Kong, Norway, Malaysia, Mexico, Singapore, South Korea, Switzerland, Bangladesh, Belize, Bermuda, Bolivia, Barbados, Brunei darussalam, Cayman islands, Dominica, Ecuador, Egypt, Guernsey, Gibraltar, Guadeloupe, Grenada, French guiana, Iceland, Jersey, Jordan, Cambodia, Saint kitts and nevis, Saint lucia, Liechtenstein, Sri lanka, Macao, Monaco, Maldives, Montserrat, Martinique, Nicaragua, Oman, Pakistan, Peru, Paraguay, Reunion, Turks and caicos islands, Aruba, Saudi arabia, South africa, United arab emirates, Ukraine, Chile.